Thank you so much for your continuing support of Project Chacocente! Your support is truly making a difference in the WHOLE lives of the children, the families of Project Chacocente, and the families in the surrounding communities. 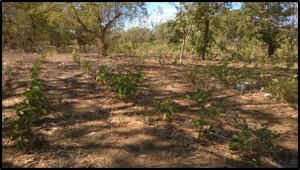 People in Nicaragua are beginning to refer to the project and the surrounding area as Chacocente! 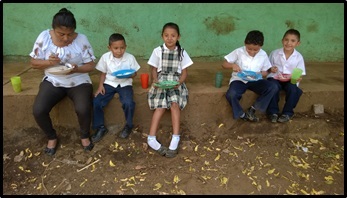 When you sponsor a child at the Chacocente Christian School, you are helping to provide a filling and nutritious lunch for your child. 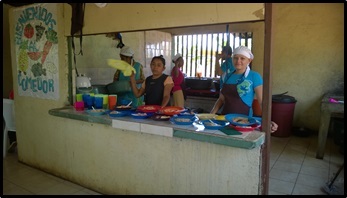 The food is prepared at the school in our own school kitchen by the mothers of our students who take turns providing this service. The elementary children eat in the lunchroom next to the kitchen or sitting outside on the sidewalk while food is carried from the kitchen to the lunchroom of the secondary wing of the school for the older students.. Sponsorship also provides the school with the opportunity to raise some of the food used in the lunch program. With the help of World Vision and one of our teachers, Elio Ticay, the students are learning to raise chickens and pigs, plant and cultivate beans, yuca (cassava), corn, plantains and bananas. Parents have also been involved in this endeavor. Food not needed at the school is sold, when and where possible, to help off-set costs of the school. Urgent! 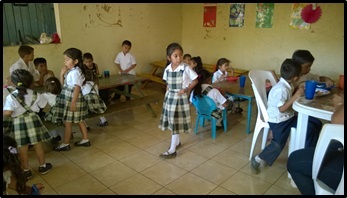 Sponsors are needed to provide the necessary funds to run the school. If you or someone you know might be interested in sponsoring a child for $360 a year, have him or her contact us at helpchildoutofthedump@hotmail.com . or call Mary Beth at 585-265-0097. We are very proud of the devotion and expertise of all of our teachers. Aiming to provide academic opportunities far above those available at state-run schools, we hire only qualified, capable Christian teachers. We recognize that most teachers in Nicaragua are grossly underpaid (often earning less than sweat shop workers), and we are committed to fairly compensating our employees. We’re hoping you will help us! Please consider sponsoring a teacher! Your $400 monthly sponsorship will better the lives of not only the teacher but also the lives of his or her students. Join together with friends and churches to truly make a lasting effect. 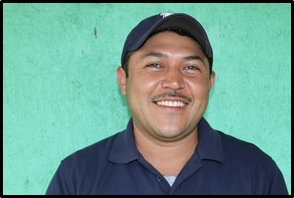 Elio José Ticay Muñiz is in his fourth year teaching at the secondary level in the Chacocente Christian School. In addition teaching agricultural courses, Elio teaches math to the sixth and seventh grades. One of his hopes and dreams as a teacher is that the knwledge he is imparting to each student might spur them to do their best by questioning, participating and experimenting. He hopes also that after graduating from high school, his students will find a career and grow professionally. If they do this, he will feel proud and honored with the work he has done. Several young people and adults at Project Chacocente are also interested in expanding their education, especially in studying English, and we want to help them! Education will increase their self-esteem and job marketability. Can you help? Thank you for your continued interest in and support of Project Chacocente. Remember to always label any donations with the child’s name and payment period on the memo line for sponsorships or what the donation is to be used for. For example, the general budget or teacher salaries. Or you may wish to include a note explaining your donation. ¡Qué Dios les bendiga! May God bless you!